A diverse body of thinkers working across disciplines, with the freedom to question and explore all aspects of the human mind, united in their quest for truth and knowledge. We foster curiosity in our students and encourage them to seek truth by exploring reality, both seen and unseen. Pursue your passion in one of the most dynamic cities in the world — a hub of arts and culture, innovation, politics, and social change. 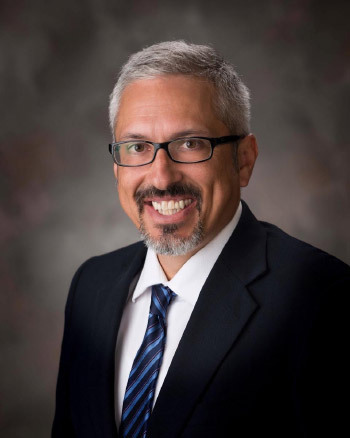 Pursue your academic goals alongside faculty on the cutting edge of their disciplines at one of the leading Catholic research institution in the U.S. Through more than 40 fields of study across 17 departments, at the School of Arts and Sciences you will find the freedom to explore the depths of scholarly study and push the boundaries of possibility. Pursue all aspects of knowledge of the human experience through the lens of faith in a city that offers exceptional opportunities in every field of science and the liberal arts. 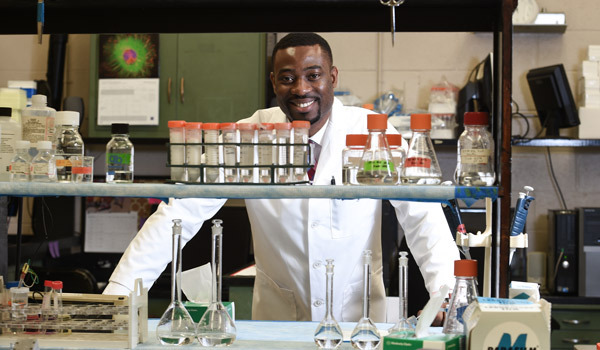 “The more you answer questions, it raises more questions,” says Nnanya Kalu, a medical doctor from Nigeria, who came to Catholic University to do research in our Biology Department. 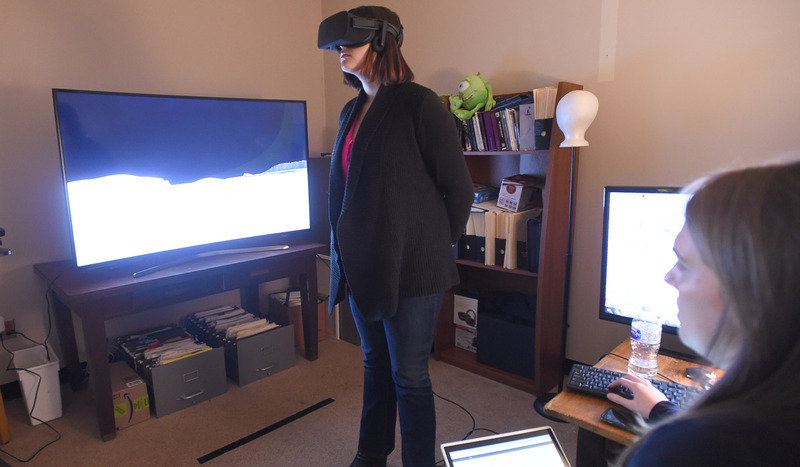 An emphasis on research experience is a hallmark of our undergraduate psychology program. 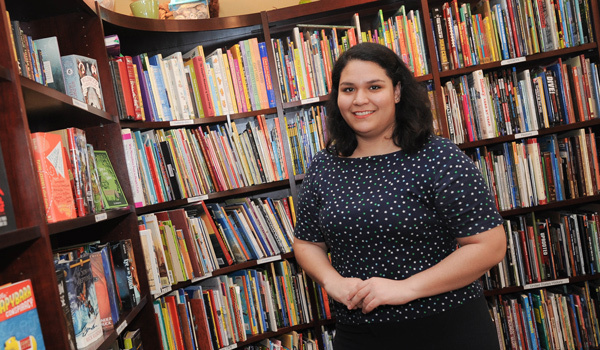 Students majoring in psychology do research through internships at prestigious research centers in Washington, D.C.
Maria Thurber, a Spanish for International Services major, has interned at the Embassy of Ecuador and at the National and International Outreach unit at the Library of Congress. 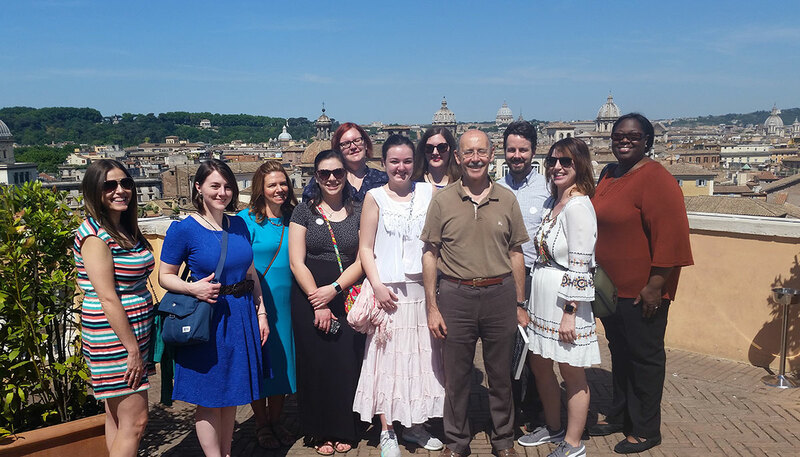 Library and Information Science students visit the Vatican Secret Archives and explore rare collections few people ever get to see. 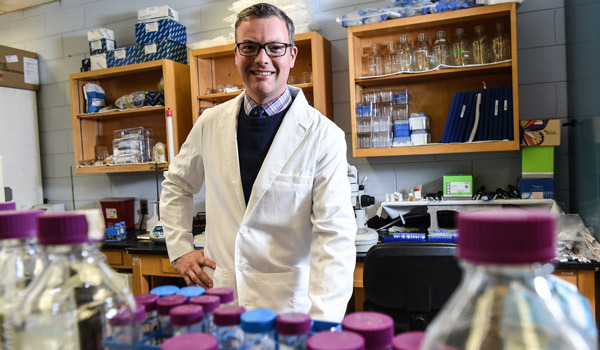 Biochemistry professor Gregory Miller captures students’ attention through topics such as biochemistry in science fiction or the biochemistry of cooking, then goes deeper into structural biology and cell replication. Our students have a hunger for new experiences and expanded world views that places the School of Arts and Sciences as the university leader in study abroad and global experiences. Explore the vast array of possibilities. Diverse in study but united in our pursuit of truth, at the School of Arts and Sciences we are a driving force for advanced research, searching beyond what is seen and apparent and applying each new discovery to the betterment of mankind. Welcome to the School of Arts and Sciences, the largest school in the University. We offer undergraduate and graduate degrees in 17 departments and programs in disciplines that range from arts and humanities to social sciences, mathematics, education, library and information science, and natural sciences. The School of Arts and Sciences has more than 170 faculty members and more than 1,500 undergraduate and 600 graduate students.